With Ivanti Service Manager, you can manage configuration items (CI) that make up the services and IT infrastructure supported by the service desk. 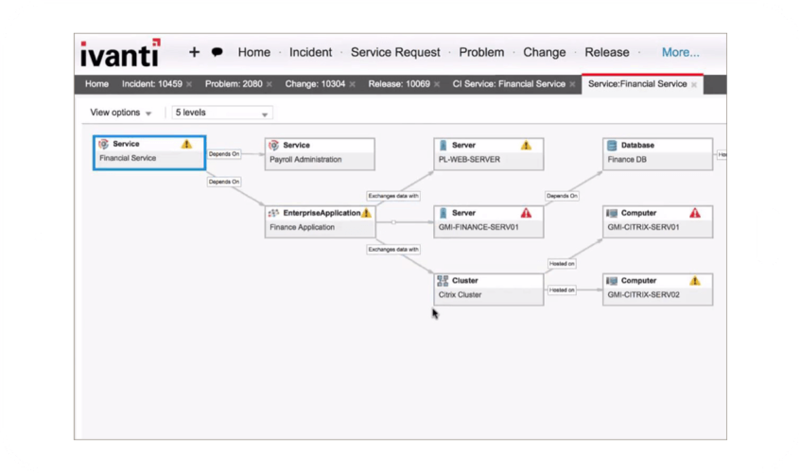 Define, identify, and report on configuration items across the IT landscape and their relationships, including incident, problem and change records. Perform configuration management analysis so proper monitoring and cost savings can be achieved. During the demo of Ivanti, we were amazed at the features and functionality available.